Personalised welcoming of French and English-speaking guests. We are available by phone 24/7 during their stay. 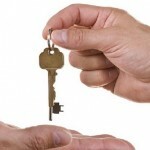 Two sets of keys are assigned : 1 for Periservices for access to the property and 1 set for tenants. We agree with the owner the planning of the other intervening regular persons (as gardener, poolman, etc…) and list other occasional ones (electrician, plumber, etc…). The owner may use to have his own providers but we can introduce him entrepreneurs of our network. Technical management could concern the weekly small works of the pool. Opening and wintering pools and main maintenance is made by a professionnal. We use two sets of bed linnen, towels (bathrooms + pool). Periservices usually use the services of a laundry. 1 – Before renting : cleaning the house to welcome new people the first time of the season. Option : While rented when tenants stay more than two weeks : cleaning each week bathrooms, kitchens, toilets and changing beds. We use our own products. We collect data on energy consumption, forwarding relevant documents. Between tenants, we report by email with pictures and comments to the owner on the day. The owner is to manage guest deposits, which he will judge whether to return or not, based on our observations. Quotes will be established directly for your guests, on their demand and settled by themselves. Each order is given particular attention and adapted to the owner’s situation. The owner renting his property can therefore offer his tenants a whole range of services. Sundays and holidays are possible under particular conditions. A theoretical arrival time is agreed, whose details (mobile phone numbers) must be forwarded to us in case they need to be contacted or guided. 2 / Periservices gives the keys at arrival. We personally meet the guests the same day or the day after their arrival to check if everything is in order with them. The fixed time for departure is 10 am. Our staff comes some minutes before 10 am and the house has to be completely cleared.